Artist Beware - Ruwa - "Artists Beware"
WHEN: Sept. 9th, 2016 is when I commissioned her. Initial payment was Sept. 21st, 2016. I nudged her October of 2016, April 2017, and June 2017. 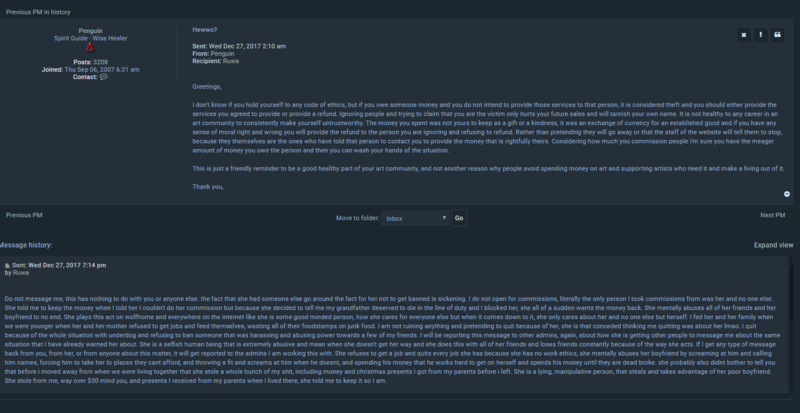 Requested refund September 2017. 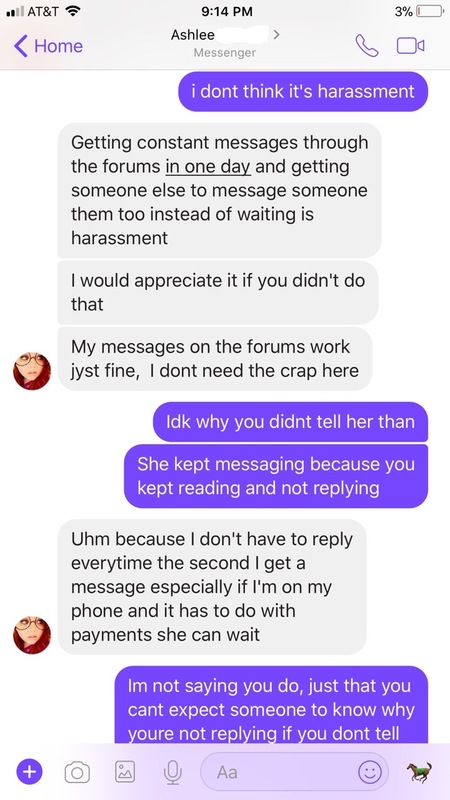 She has since read every message attempting to get a refund and has not replied to any one of them. My username on Wolfhome Forums is Aeonium. 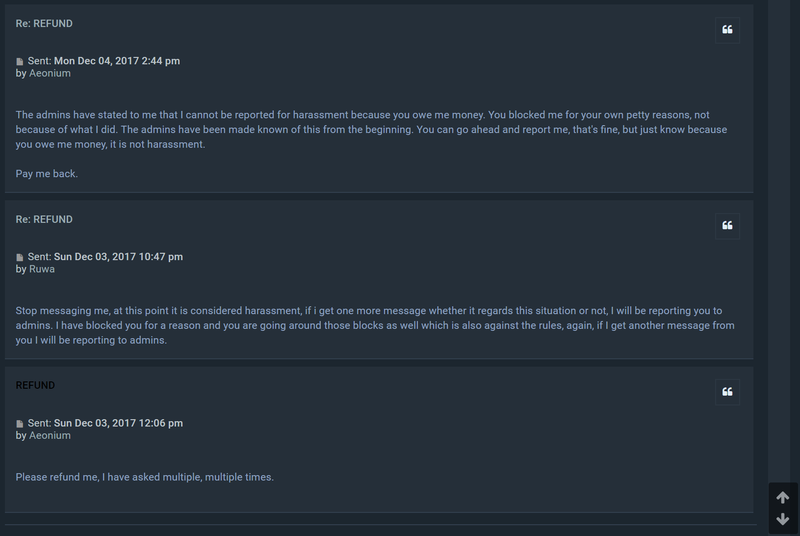 EDIT: There was more discussion with Ruwa, where she slandered me to a stranger and stated she is refusing to refund me. All of that is below. Penguin is a user of Wolfhome. 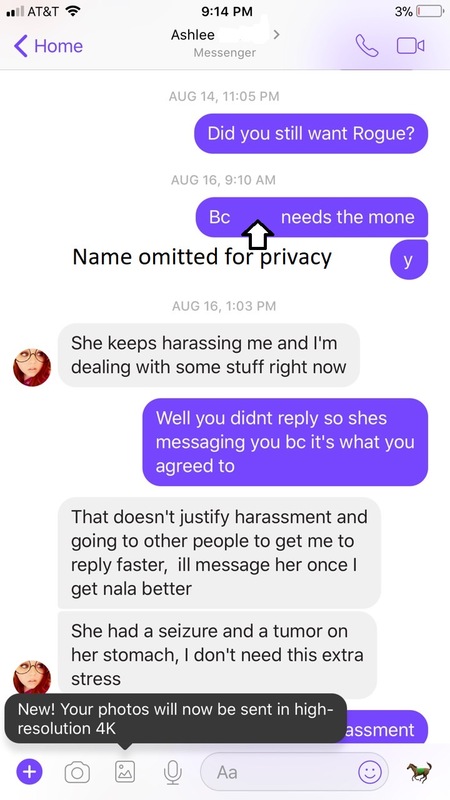 >> Proof of why she blocked me on Facebook only: https://i.imgur.com/DdrU4A1.jpg, https://i.imgur.com/ej7YhXa.jpg, and https://i.imgur.com/j1BSiwV.jpg. 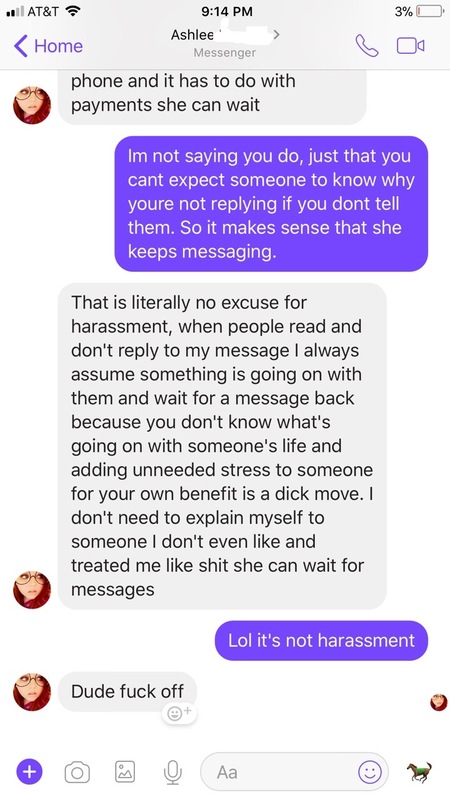 She blocked me after the last thing she said. Hi! I have approved this post, but please fix your broken links in the body of your post.